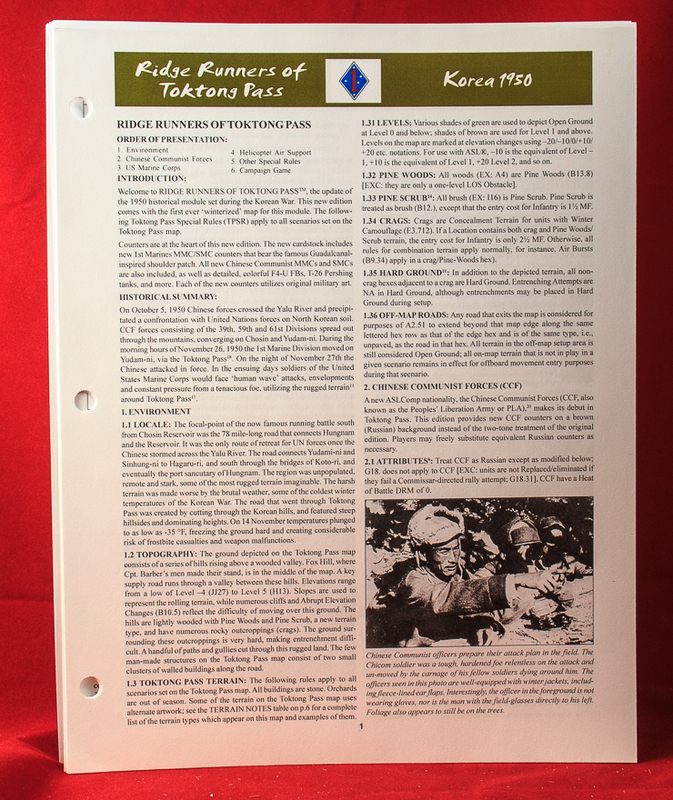 1st Edition (The Korean War: Escape from Chosin: Toktong Pass 1950): 24" x 36" historical map, 624 die-cut counters (2 identical sets of 312 in 4 total countersheets), 10 scenarios, 4-page rules booklet, 28-page historical booklet. 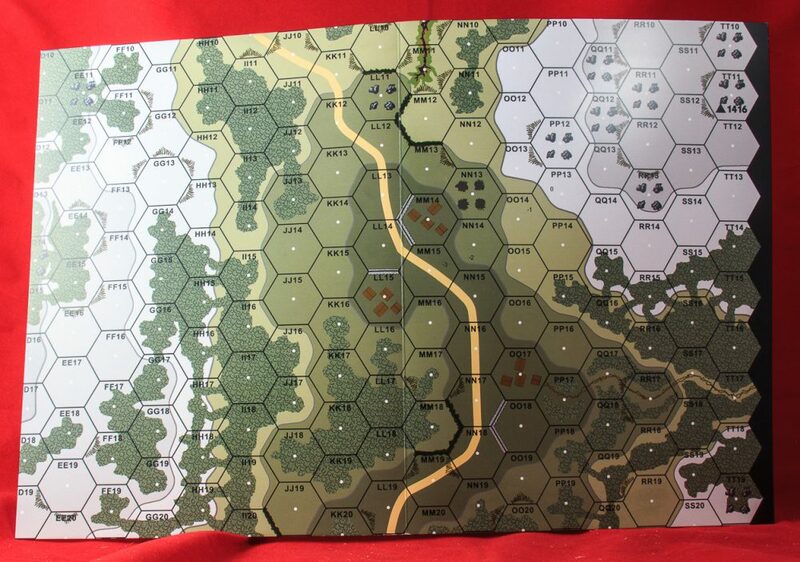 2nd Edition (The Chosin Few): 24" x 36" historical map, 12-page rules booklet, 10 scenarios, 2 duplicate sets of 274 die-cut counters (548 counters total), Platoon Leader campaign game (Toktong Ridge Runners). 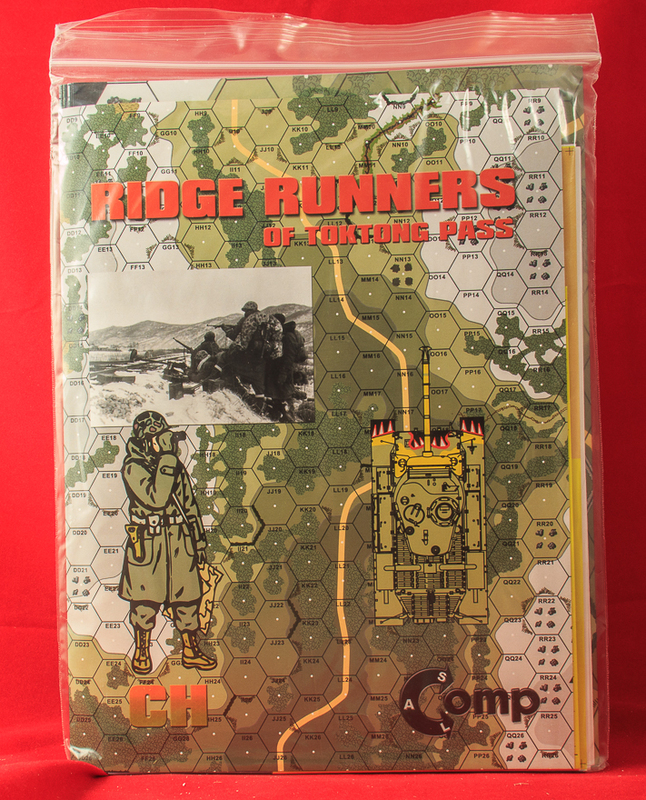 3rd Edition (Ridge Runners of Toktong Pass): 9 12" x 18" heavy paper glossy map panels, 12 pages rules, 10 scenarios, 376 die-cut counters, Platoon Leader campaign game (Toktong Ridge Runners), IIFT play aid (on back of folio). 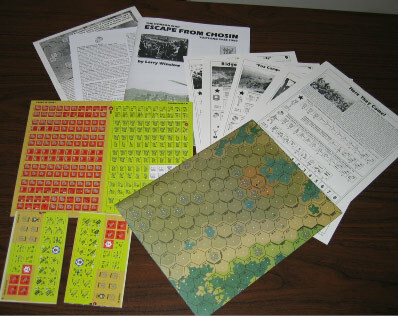 Escape from Chosin is Critical Hit’s largest ASL-related release since its Berlin module and is also the first major treatment of the Korean War in ASL. 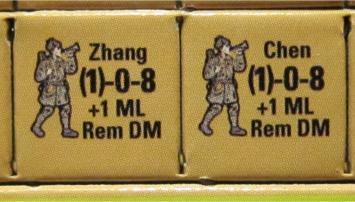 Prior to Escape from Chosin, the Korean War was represented in ASL only in a few scattered third party scenarios and one rare third party scenario pack, the Pusan Perimeter Pack. An “official” Korean product has been in the works for many years but never seems to come closer to daylight. 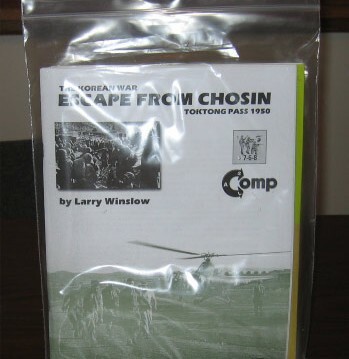 Escape from Chosin was designed by Larry Winslow and depicts attacks by the People’s Liberation Army of China on the 1st Marine Division retreating from Chosin at Toktong Pass in late November 1950. The large map is well done and features an imposing bald hill surrounded by woods-covered lower terrain. The area has more vegetation than many other areas fought over during the Chinese counter-offensive. Except for a few scattered buildings and one road, it is wilderness terrain. Only one new terrain type, Pine Scrub, a brush variant, appears. As is typical for ASL historical modules, only a portion of the map is used for most scenarios (though some do use a large portion). Only one scenario utilizes the entire map. 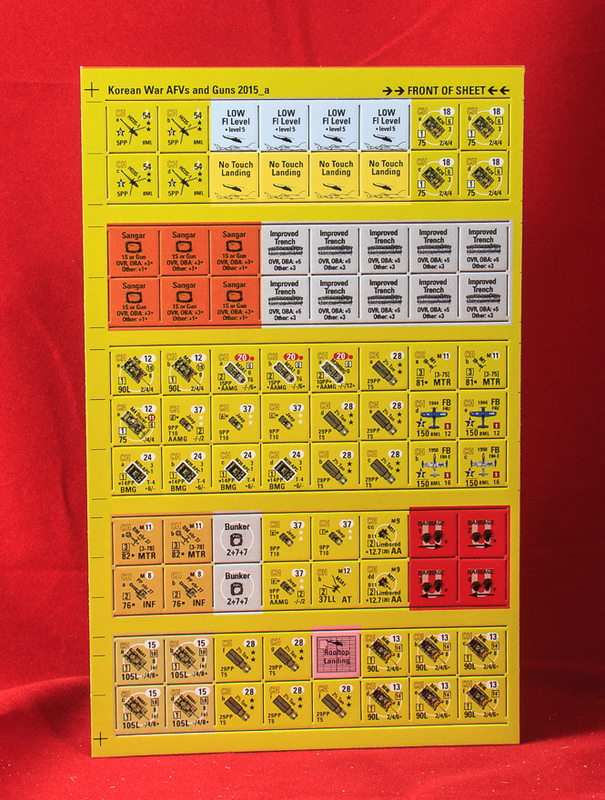 The module comes with a large number of counters (duplicate sets, as is now customary with Critical Hit), only some of which are actually needed. 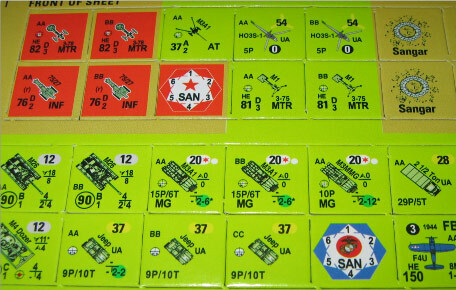 About half of the counters are USMC counters already in the system, although the module does add a new 4-5-8 USMC squad with Assault and Spraying Fire capabilities. In this module, USMC do not have underlined morale and undergo ELR unit replacement with weaker USMC squad types. Toktong also introduces the Sikorsky HO3S-1 helicopter to ASL, used as a combat rescue aircraft. The helicopter rules are pretty straightforward, aided by the fact that the Sikorsky has no combat capabilities. 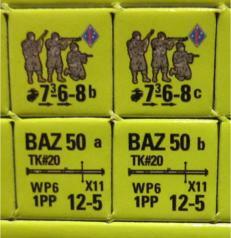 The rules, however, do not seem to discuss the possibility of unloading in enemy occupied hexes. 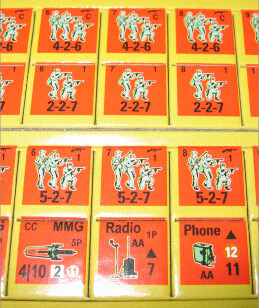 Most of the remaining counters are for the Chinese, referred to in the module merely as “Chinese Communist Forces” (CCF). They are represented by ugly red on brown two-toned counters and generally treated as Russians are. The CCF have five different squad types, which may be a tad too generous. These squad types include 4-2-6 conscript squads, 4-3-7 and 5-2-7 first line squads, 4-4-8 elite squads, and a special new squad type, the 6--8 grenade squad, a useful addition that represents groups of men armed primarily with grenades rather than firearms (because of shortages). The CCF are also given a unique SMC, the Bugler, which can either aid rallying or help initiate a Human Wave attack. The Bugler is a dubious piece of pure chrome that probably would have been better left out of the system. In the copy of Toktong used to write this overview, the die cutting was significantly off and the counters “lopsided” to the top as a result. Other rules for Toktong cover subjects ranging from supply counters to Extreme Winter and Frostbite. The Frostbite rules interestingly will degrade each side’s OB (through Unit Replacement) before setup. It is a clever rule. The module also comes with a reprint of an after-the-battle analysis written by S.L.A. Marshall in the 1950s which provides interesting historical details. As it is not copyrighted, Critical Hit just reproduced the original document. No campaign games are provided, but the module does come with 10 scenarios, the majority of them large in size (though CCF forces tend to be considerably larger than USMC forces in most of these). The scenarios typically do not have numerous or complicated SSRs, but 2 scenarios use Night Rules, 5 scenarios use OBA, and 3 scenarios use Air Support. The Chinese are the attackers in 6 of the 10 scenarios. The meatiest scenario, TP1 (Here They Come! ), featuring an attack by 50 Chinese squads on 15 USMC defending squads, is a Night scenario and as a result will probably not be played very often. The second meatiest, and more likely to be played, scenario is a USMC attack, TP10 (Ridge Runners Mop Up), using half the map. It sets 20 USMC squads (plus OBA and Air Support) against 22 defending CCF squads (who get some OBA of their own). 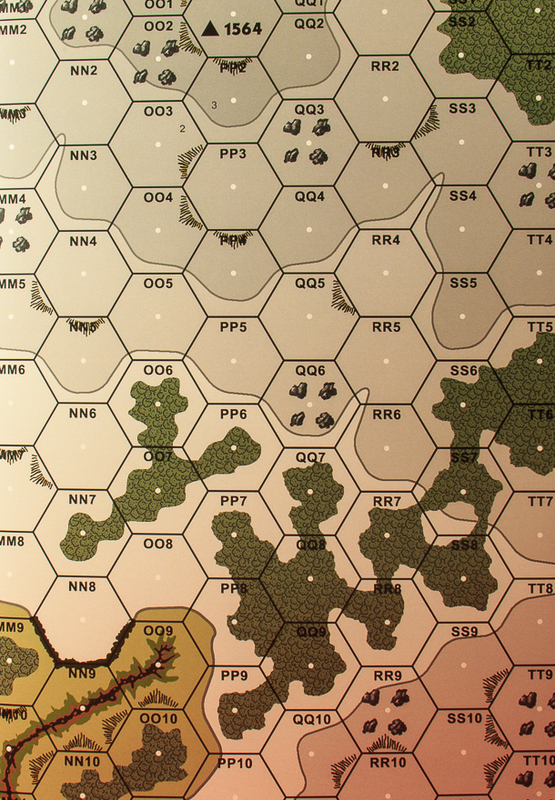 TP2 (Can…Hold…If…Supplied…) is also pretty meaty, using most of the map to recreate an attack by 36 CCF squads (plus OBA) against 15 USMC squads (with lots of Air Support). 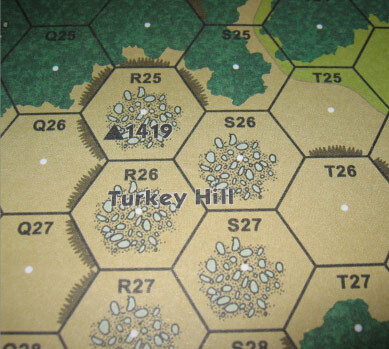 A smaller, more playable scenario without complicated rules or SSRs is TP8 (Attack on Turkey Hill), featuring 12 USMC squads attacking 13 CCF squads in a “king of the hill” situation. Overall, the module looks pretty decent. It probably isn’t for people who have to have a minimum daily recommended dosage of Panzers, but for other ASLers it is a chance to do some tough fighting in extreme conditions on interesting terrain. 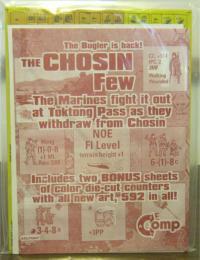 2nd Edition (Chosin Few) Comments: In 2011, Critical Hit began large batches of reprints of their modules, primarily to take advantage of a new style of 5/8″ counter layout and artwork. 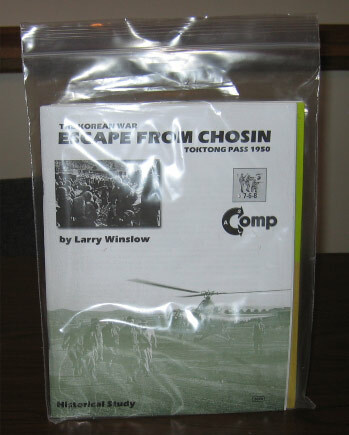 Escape from Chosin, though published only a few years earlier, was one of modules selected for this treatment. In contrast to some of the other reprints, this new edition is probably more justifiable, because of the poor quality of the countersets in the original edition. The new counters are considerably better. The map is an exact reprint of the 2008 map, which was a good map. The 2nd Edition also comes in a mapless version for people who already owned the 1st edition and don’t need to pay for a map. The one interesting addition to the new edition is a Platoon leader campaign game, Toktong Ridge Runners, a 15-date campaign. This makes the module more attractive and provides a chance to play more extensively on the historical map. However, with a listed price of $59.95, the module is somewhat overpriced. 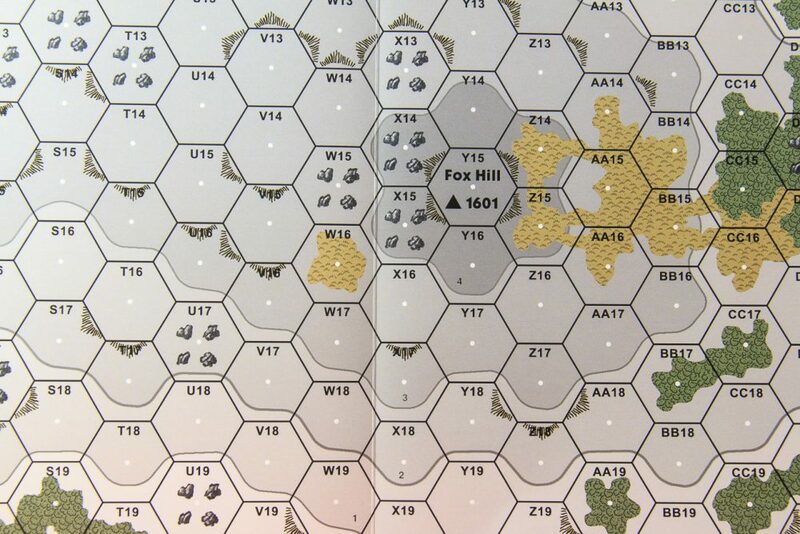 2012 Update: In February 2012, Critical Hit released another Korean War product, Pork Chop Hill, which, in addition to its own components, also included a “remastered” version of the Chosin map. 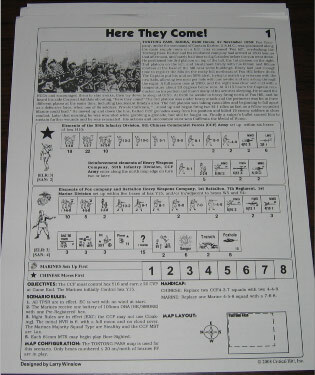 It also included a Chosin scenario: CF#11 (The Longest Night), a Night scenario (minus some rules) which depicts a Chinese attack on the U.S. Army, USMC, and British elements of Task Force Drysdale. 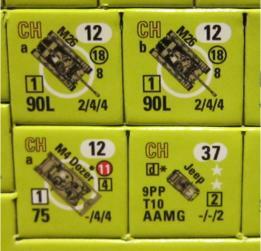 Pork Chop Hill is not a stand-alone product and requires components from the Chosin module for play. 3rd Edition (Ridge Runners of Toktong Pass) Comments: Though Critical Hit’s Toktong module has not proven to be particularly popular, garnering virtually no recorded playings since its 2008 debut on the ROAR website, Critical Hit nevertheless reprinted the module in 2016 with a new name, because the company’s business model is based on exactly this practice: constantly recycling its old catalog under new names. 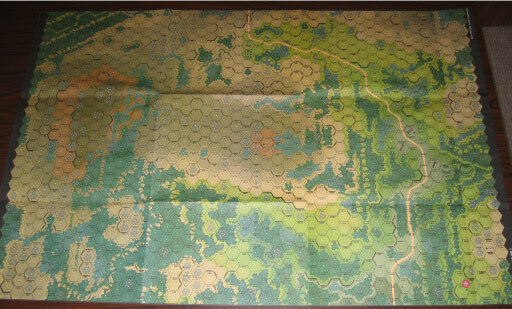 The major change in the 3rd Edition is the map, which is no longer a one-sheet paper historical map but now comes instead on 9 12″ x 18″ glossy heavy paper map panels, which have to be carefully assembled to form the map area. Experience has shown that assembling more than four of these panels is a pain. On the other hand, one of the drawbacks of this product, the fact that most of its scenarios take place on a small map area, means that most of the time only some map panels will be required. 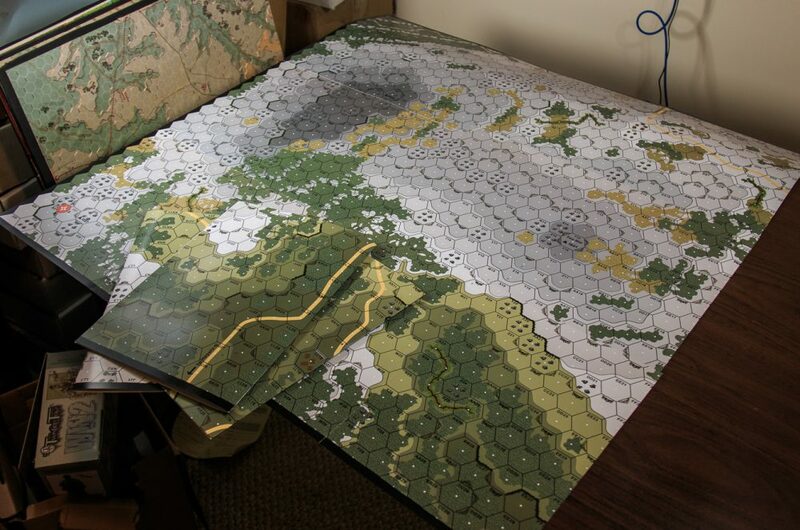 The map is now much larger in size than the original map, because it has huge hexes, so the map is pretty unwieldy. It will not fit on many gaming tables, so beware. The map also has new artwork, which may be a slight improvement from the original artwork. For some reason, some terrain features are left off the map (such as the Δ 1419 Turkey Hill designation). The artwork is billed as “winterized terrain,” but actually the only “winterizing” is that higher level elevations are rendered in shades of grey, rather than brown. Other ASL products (even other Critical Hit ASL products) have had far better winterizing than this effortless attempt. 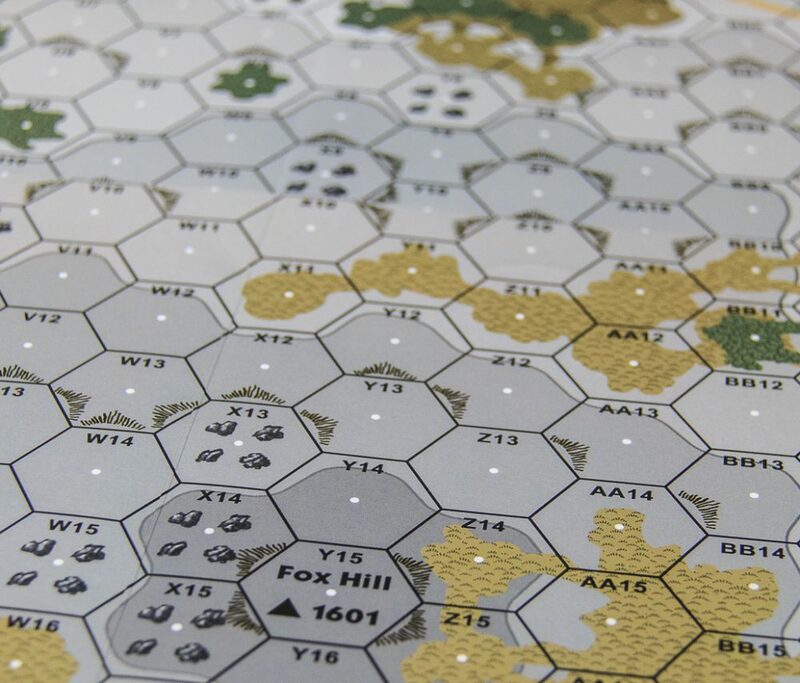 Unfortunately, some of the shades of gray vary from map panel to map panel, with the result that the shade of gray that signifies a level 3 hill hex on one map panel may be very close to the level of gray that signifies a level 2 hill hex on an adjoining map panel. For some reason, Critical Hit changed the counters as well. 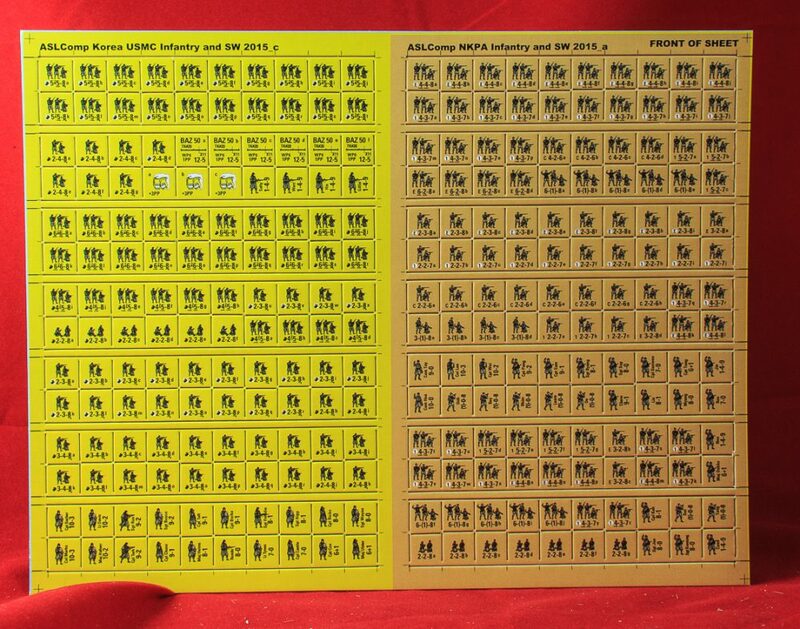 Now purchasers will only get one half-countersheet of 5/8″ counters and one full countersheet of 1/2″ counters. Normally, this might be a good thing, as Critical Hit countersheets usually are not needed to play the product and simply represent added expense for no good reason. 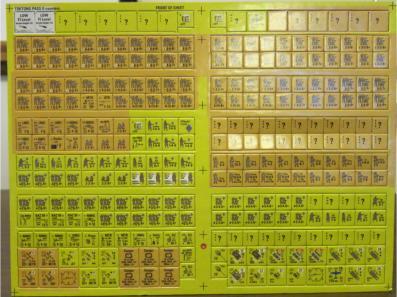 However, with this product, many of the counters are actually new and thus are needed. However, the reduction in counters means that there are not enough counters to play the included campaign game, so players are told they must purchase additional copies of the counters. This is a real gyp for a product costing $59.95. The combination of a too-large map with color issues and insufficient counters make this a bad buy.